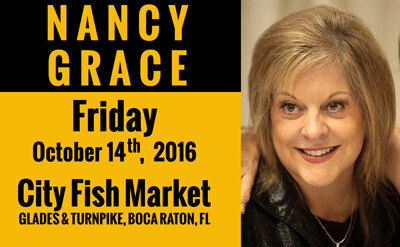 Nancy Ann Grace (born October 23, 1959) is an American legal commentator, television host, television journalist, and former prosecutor. She frequently discusses issues from what she describes as a “victims’ rights” standpoint, with an outspoken style that has brought her both praise and criticism. She is the host of Nancy Grace (2005-present), a nightly celebrity news and current affairs show on HLN, and she was the host of Court TV’s Closing Arguments (1996-2007). She also co-wrote the book Objection! : How High-Priced Defense Attorneys, Celebrity Defendants, and a 24/7 Media Have Hijacked Our Criminal Justice System.